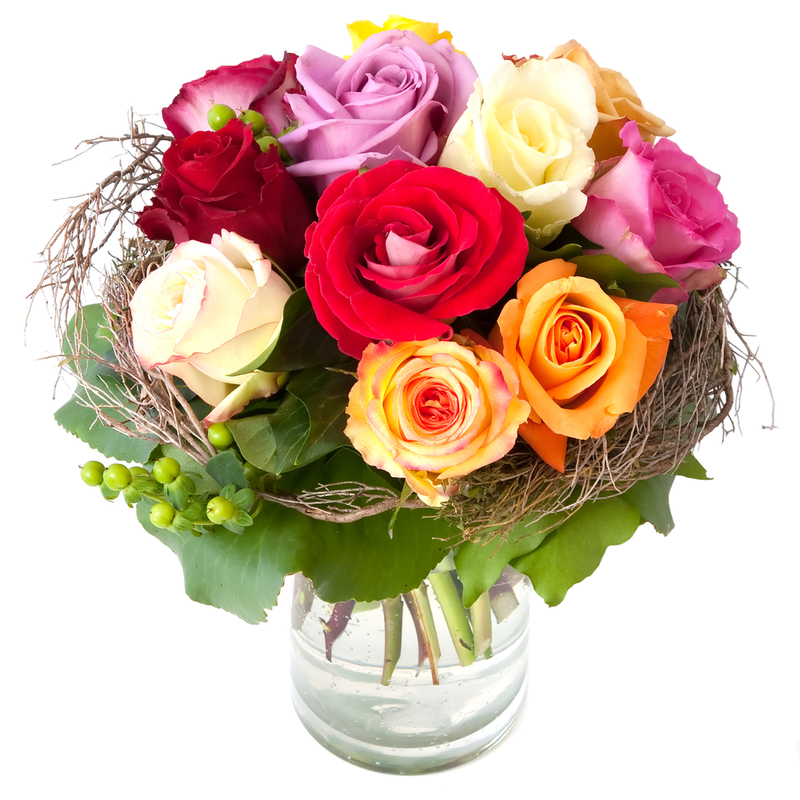 Send this absolutely stunning bouquet of elegance and whimsy to the one you love. Our bouquet of mixed color roses with babies breath and greens in a clear vase is a refreshing change to sending red or pink roses. Please note: Vase is not included but can be ordered (see below).